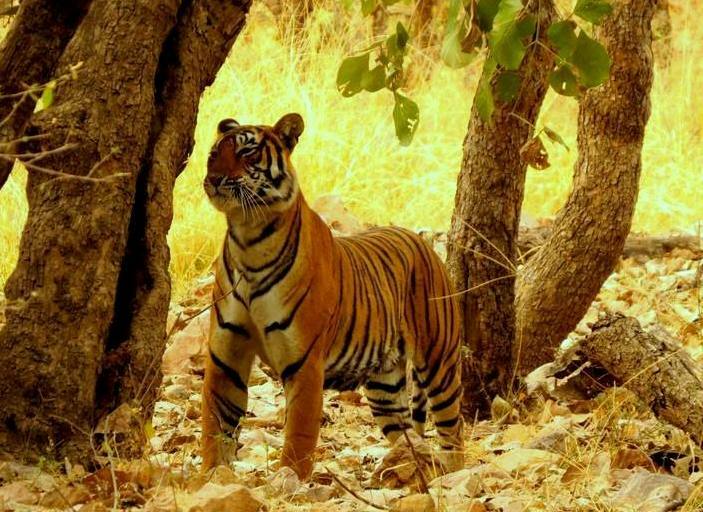 You will be arrived at Ranthambore, check in into your pre booked hotel & resort in Ranthambore National Park After check in freshen up and shower. Dinner and Overnight stay at hotel. Early morning jungle safari to Ranthambore National park. The jungle visits lasts for about three hours. Return to the hotel for breakfast time. There is time to relax and enjoy the facilities of your hotel, maybe take a dip in the pool for a break from the heat of the day. After lunch visit to Ranthambore Fort. It is one of the six forts included in the UNESCO’s World Heritage Site inscription Hill Forts of Rajasthan. This tenth century fort with its battlements stretching out over the Aravalli Hills provides excellent views of the National Park and its lakes, visit the Ganesh Temple there, which is used by hundreds of worshippers daily. It will take approx 2-3 hours to complete, return at you hotel at dusk time. Have tea and coffee. Dinner and Overnight stay at hotel. All meals lunch dinner and breakfast as per itinerary. 01 times Jungle Safari as per the itinerary.